Tomoana Food Hub, Elwood Road, Hastings. 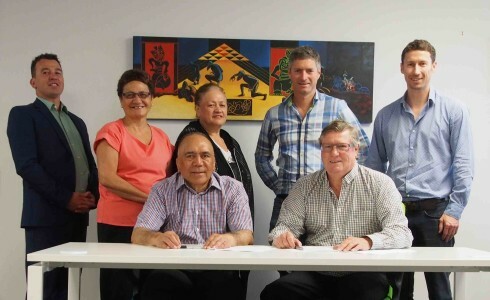 Photo courtesy of Elwood Road Holdings Ltd.
On behalf of our Hapū, Maungaharuru-Tangitū Trust (MTT) has recently invested in 25% of Elwood Road Holdings Limited (ERHL) known as the Tomoana Food Hub. It is a partially-developed property hub, located at Elwood Road on the outskirts of Hastings. 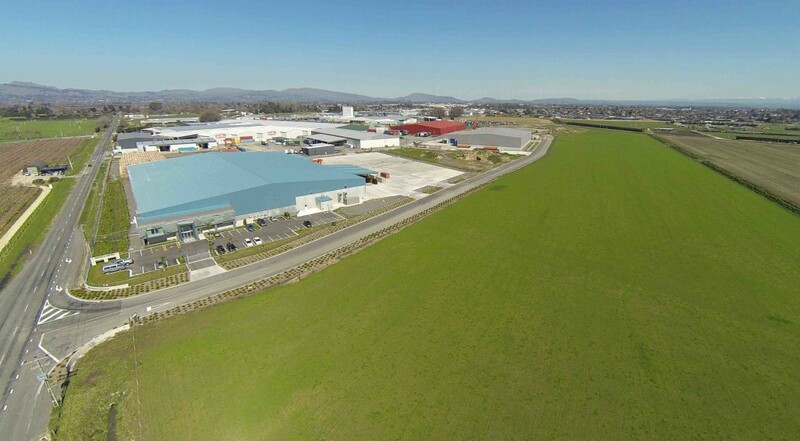 This investment supports the core business of Hawke’s Bay – food and beverage processing and logistics. Food-processing zoned industrial land is scarce in the Bay yet the food industries are booming. Therefore, the investment has exciting growth prospects and a forecast of good financial performance. Another important benefit is that in future there will be employment opportunities for our Hapū in the tenant businesses located at the Hub. 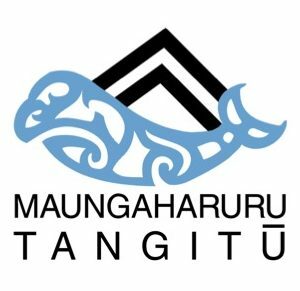 Maungaharuru-Tangitū Trust and Taylor Whānau partnership. Pictured (left to right): Shayne Walker, Charmaine Butler, Cathy Spooner, Stewart Taylor, Logan Taylor, (seated) Tom Manaena, Trevor Taylor. We are developing a genuine partnership with the Taylor whānau, who own the remainder of ERHL. The Taylors have been in Hawke’s Bay for four generations and are highly experienced in property development and food logistics. 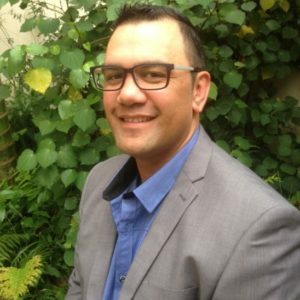 As the Hub is located outside our takiwā (traditional area), we have discussed our investment with the tāngata whenua, represented by He Toa Takitini. We hope that we can collaborate with them in the near future. We have engaged with a number of Iwi and we are seeking an additional partner that might be interested forming a Limited Partnership with MTT and investing in 25% of ERHL. The Tomoana Food Hub investment fits the criteria in our Investment Framework and Statement of Investment Policy and Objectives (SIPO), which are available on our website. This investment diversifies our asset base, is a locally based asset that can be managed actively and produces a strong financial return. Tom Manaena (Chair of MTT) will be a Board Director of the Hub. Tomoana Food Hub. Photo courtesy of Elwood Road Holdings Ltd.
and the export company New Zealand Water Ltd (Miracle). Jamestrong Packaging and Miracle are both Chinese-owned. Miracle co-owns 50:50 the building on the site and the land underneath it from which it bottles water for export and has a consent granted by the Hawke’s Bay Regional Council (HBRC) for the extraction of water. Elwood Road Holdings Limited also have a consent for water bottling – but have not used it yet. Whilst there has been some negative media regarding water bottling consents in Hawke’s Bay, to understand this perceived risk related to our investment MTT have discussed this point at length. It is important to note that ERHL do not own the Miracle Water consent that has been approved by HBRC and this consent can be removed from HBRC at any time. Whilst water bottling has received some criticism, MTT have considered alternative uses of water in making our investment decision along with other potential lease operational activites. The following table of consents has been accessed from the HBRC website to highlight comparative water consents locally. Pan Pac: Timber Processing. 6,500m3 from Te Wai-o-Hingānga (Esk) River. Based on this information and applying our Kaitiakitanga values, water bottling and export could be considered a more effective environmental and economic use of water compared to some existing land based activities. Tom Manaena (Chair of Maungaharuru-Tangitū Trust) and Trevor Taylor (Chair of Tomoana Food Hub). Maungaharuru-Tangitū Trust has carefully considered the investment in the Tomoana Food Hub. The Trust is pleased that our investment will benefit our Hapū with a forecast of good financial performance and tenant companies providing job opportunities.